Where does chiropractic care come in? Osteoporosis Treatment with chiropractic care directly addresses spinal misalignments, which in turn directly impact proper functioning of the nerve system. Spinal misalignments are associated with tight and inflamed spinal ligaments and muscles and restricted mobility in the neck, lower back, and/or mid-back. These factors result in deficient flow of information between the nerve system and the rest of your body. When your cells and tissues aren’t receiving the correct information they need, symptoms and disease are the likely result. 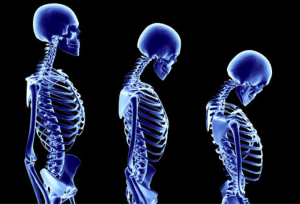 Osteoporosis is a degenerative (lifestyle) disease that is both preventable and reversible.